The Waisa Ground Water Supply project was a partnership project under the “enhanced water security in rural villages through improved water and sanitation management programme”, implemented by Ro­tary Pacific Water and funded by the New Zealand Ministry of For­eign Affairs through Rotary New Zealand World Community Servic­es and Ford Motor Company Fund. More than a 100 people from Waisa Village in Naita­siri now benefit from a Ground Water Project that was launched on Wednesday. 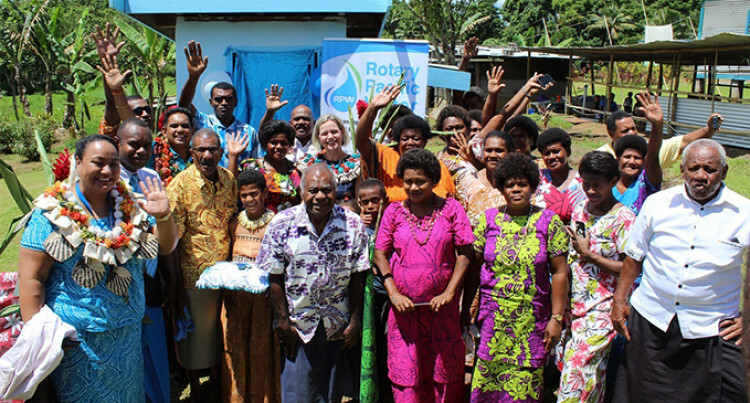 The $45000 project was an invest­ment by the Rotary Pacific Water for Life Foundation reaffirming its commitment to the Sustainable Development Goal 6 by ensuring availability and sustainable man­agement of water and sanitation for all. Rotary Pacific Water executive of­ficer Neil Maharaj said the initia­tive aimed at increasing access to safe drinking water, sanitation and hygiene. “In achieving this we built a new solar ground water supply system which included installation of a so­lar pump, water storage tanks, dis­tribution channel to communities and constructed gender segregated sanitation facilities,” he said. Since 2007 the organisation has supported 303 communities and invested approximately over $6 mil­lion in Fiji by maintaining its vi­sion of enabling healthier commu­nities through access to long term safer drinking water and adequate sanitation. The project was commissioned by the New Zealand High Commis­sions First Secretary-Development Sally Waswo and local Ford Mo­tor Company Fund representative Shreedhar Motors national sales and marketing manager Jagdish Chand.